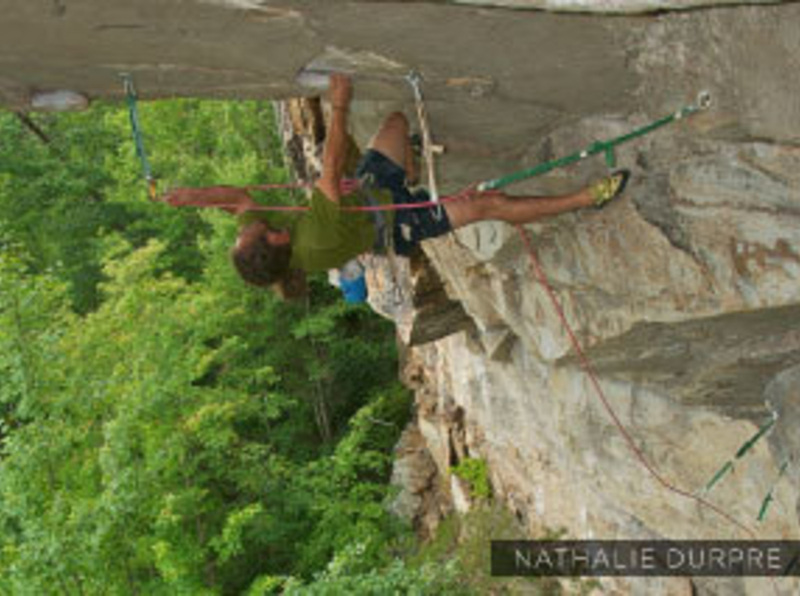 Climbing at Foster Falls dates back to the mid-80's but the sport climbing that we know here today wasn't completely developed until the early 90's. 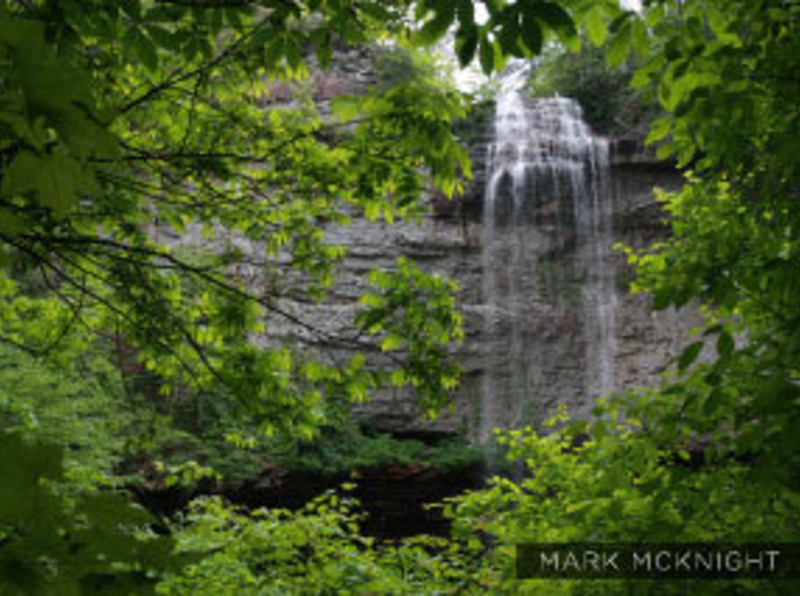 Foster Falls is located about 45 minutes west of Chattanooga and is a popular year-round sport climbing destination in the Southeast. 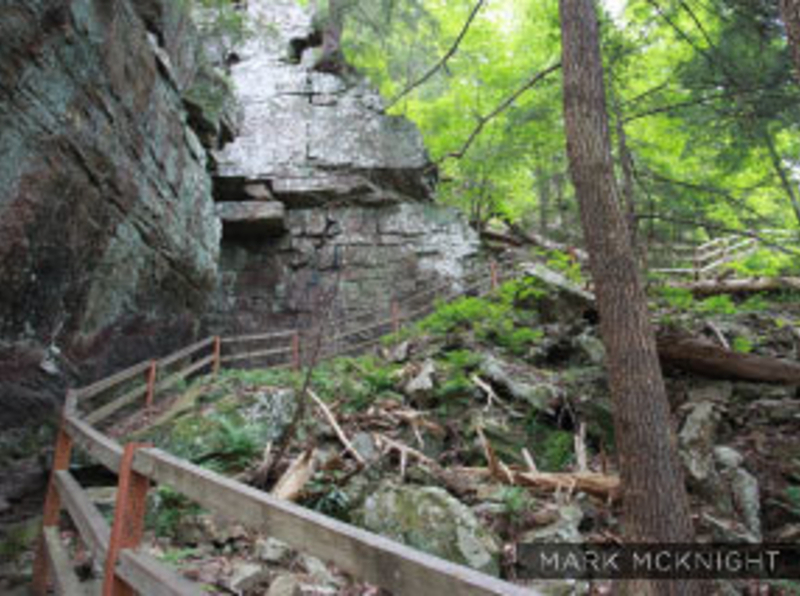 The cliff line is made up of vertical to overhanging sandstone that overlook Little Gizzard Creek. 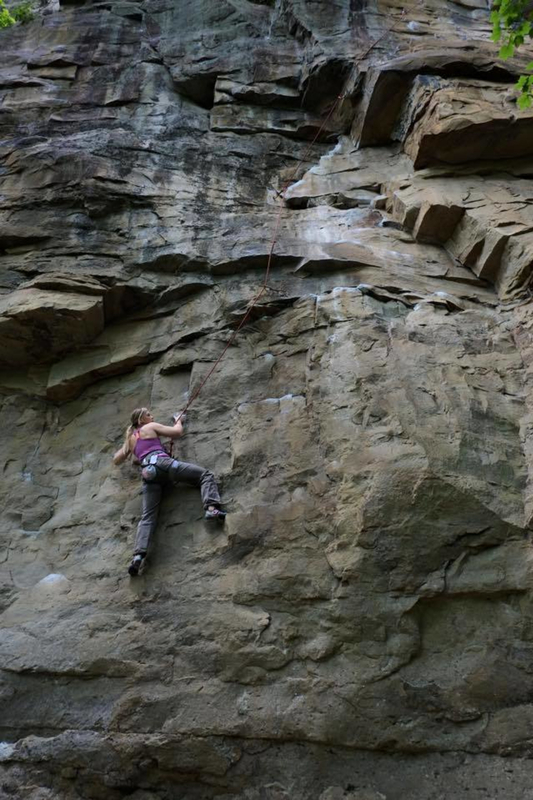 The crag offers 179 routes at a wide variety of grades and heights, great for all levels of climbers. The parking area is easy to find and well marked with ample parking but it can get pretty busy with all the hikers that also like to come here. 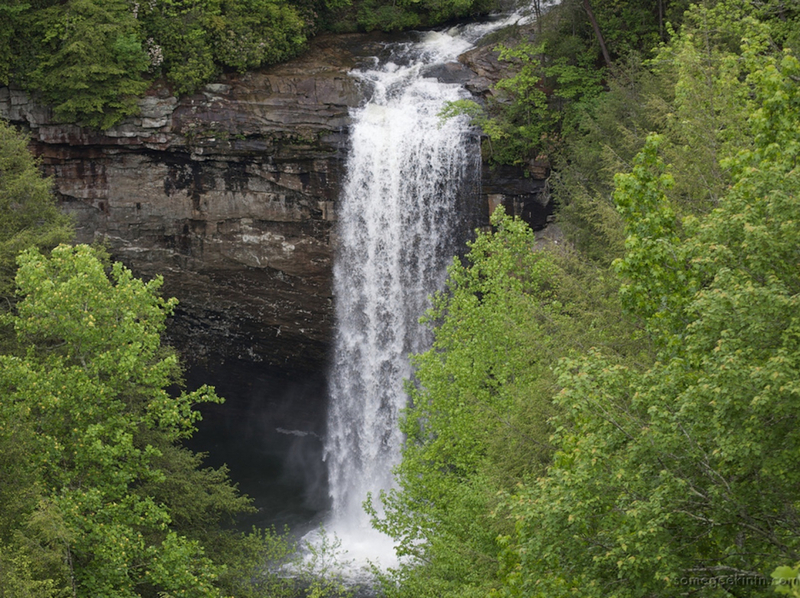 The hike to the cliff line is easy and you get a good view of the 80 foot tall Foster Falls both from above and below during the approach, which also provides and excellent opportunity for cooling off after climbing during the hot summer months. 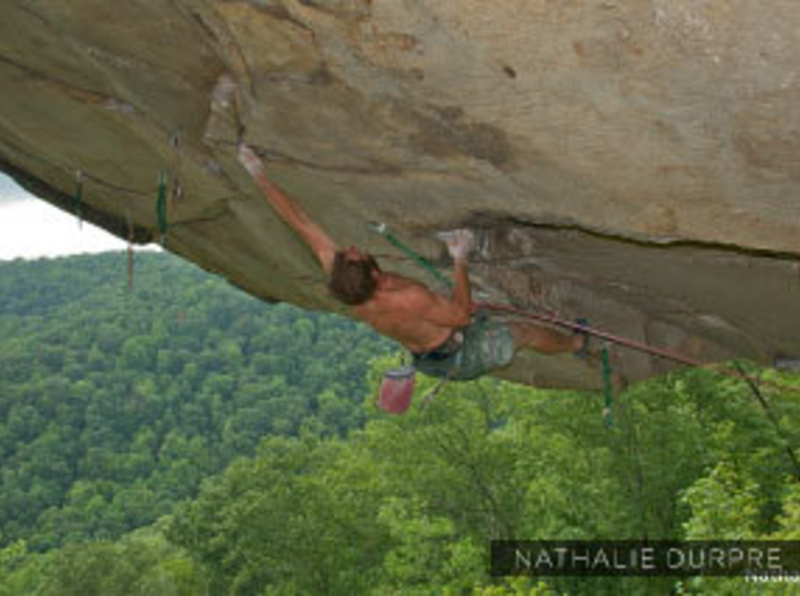 Climbing is possible here year-round, even during the scorching summer months typical of the South. 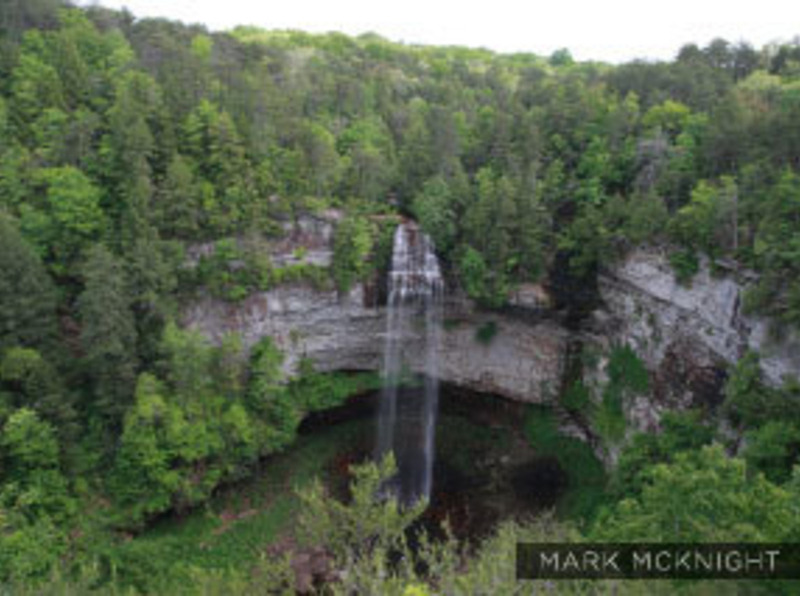 The shade provided by the dense forest on the cliff line closest to the falls keeps you cool in the summers. If you get caught in a summer storm, don't fret, just move on to one of the "bunkers", that always stay dry, for some fun steep juggy climbing. The more exposed routes at the opposite end are great for winter climbing, where the sun helps to warm up the rock as well as your hands. 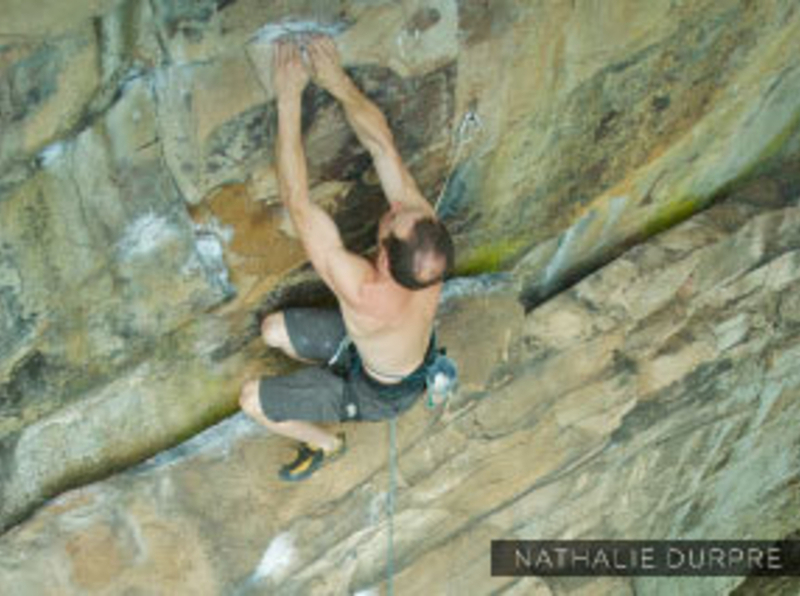 The great variety of routes and holds are also what makes Foster Falls so popular and the area is best known for its concentration of good 5.10+ and 5.11 climbs, but there are grades ranging from 5.8 to 5.13 as well. Everyone. Foster Falls is very popular for beginner climbers. 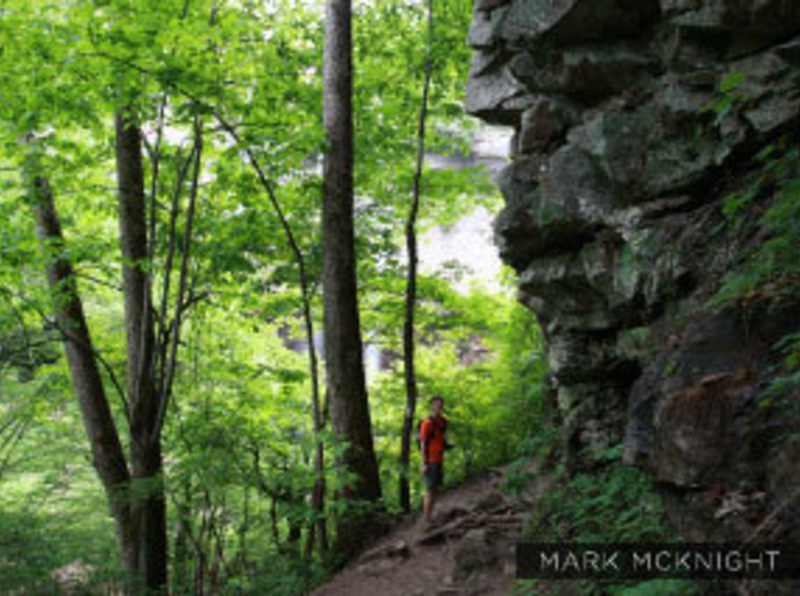 It's an easy approach, easy access to several routes for larger parties that want to climb together and a great place to learn how to sport climb in the outdoors. There is no fee to enter Foster Falls and plenty of parking is available but it is also a popular park so it can get crowded. The park is open from 7 a.m. to sunset, the gate will close after sunset so be sure to be out. Car camping is available from March to November and the cost is $17/night or $22/night if you want water and electricity.